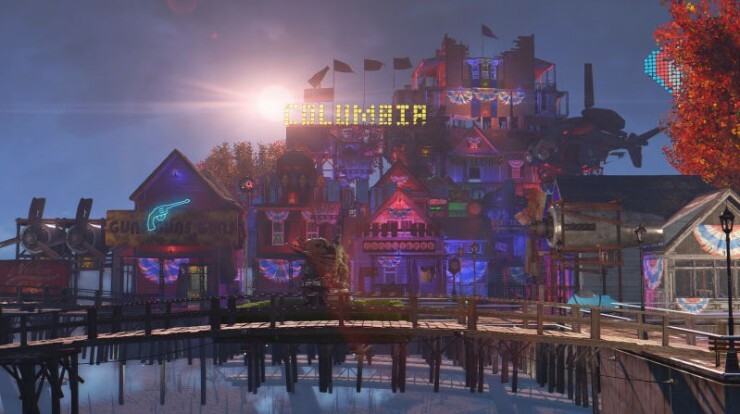 A user named Girl Plays Games has partly recreated the floating Columbia city in Fallout 4. Of course she didn’t recreatre the entire city, ut she has done a great job in capturing the concept and soul of the city. It’s so realistic that you can even see the propaganda posters from Infinite. You can see citizens dressed in 20th century clothing and walking aroundd the city. It was first discovered by Irrational Games via Twitter when the creator shared it with social media. If a developer decides to share your work, you can be certainn that it’s highly appreciated by people in the industry. It really is some hard work here. Of course it may be mind buggling to create something like this for some folks, but it really inspires people to see this magic on your screen. I know many folks think that they can’t bild a piee of art like that,but still, there are mods at Girl Plays Games’ website. Don’t hesitate and give it a try. I had no idea you could do this as I have not had the pleasure of Fallout 4 yet but you can bet I will be checking it out in the near future! This floating city you showed in the video is absolutely awesome and now I can’t wait to get my hands on this and try building a city myself! Amazing! Thanks for the information, this is mind blowing! No problem, it’s never too late to start anyting. Definetely check out my links to find the sources. Maybe you will be the next virtual city designer to gain popularity. Check out all my content and keep in touch! All the Fallout games are great so I don’t see how this one would let me down haha. I havent played it yet but I am very excited to after the video and the review. I like the fact that you can create your own personal cities, I didn’t know about that feature. I am definitely going to give this game a shot, thanks again and Ill be sure to revisit this site! PlayStation 4 and the awesome new edition of fallout. Your article was very interesting and I will definitely be looking into your links to see how this was done. the only thing with the latest fallout is I do find I’m a little disorientated after a few hours of play is this normal?